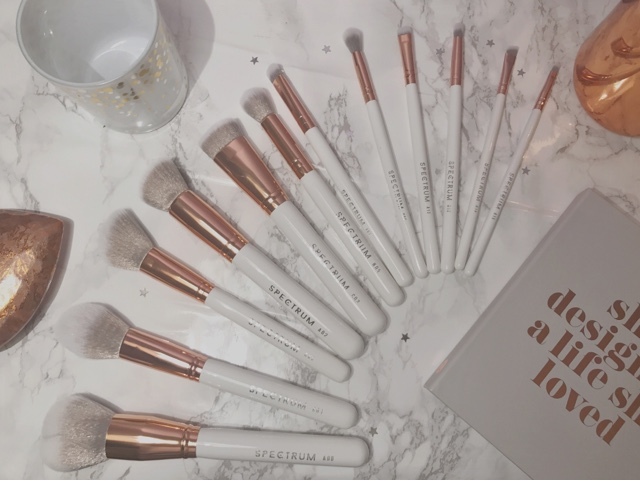 A stunning 12 Piece brush set featuring a luxe rose gold, grey and white colour combination. 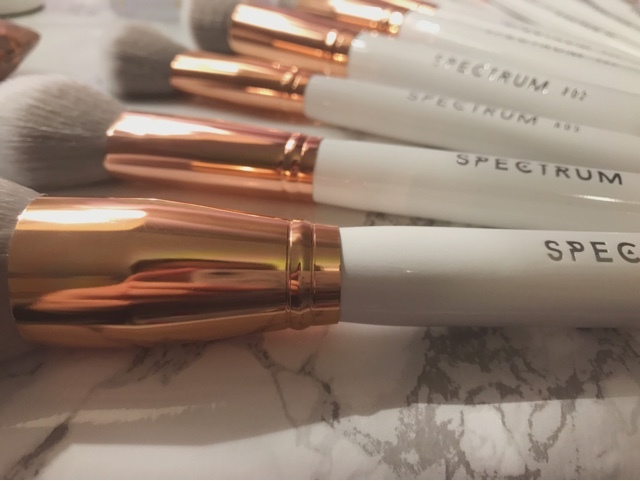 Spectrum are a proudly labelled vegan brand and all products are cruelty free. Hoorah! 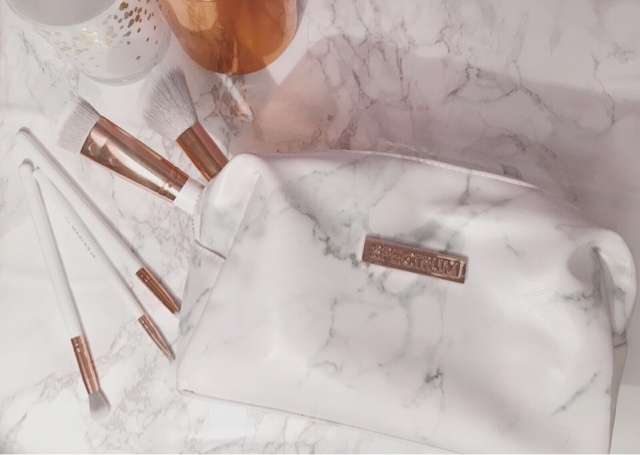 Marble makeup bag and would make a fabulous Christmas gift, particularly when received together. 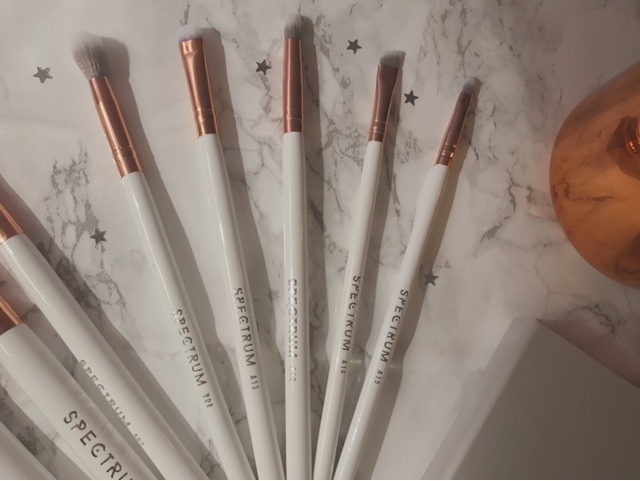 Over the years I have tried various brushes from multiple brands and I have to say, Spectrum are up there in my top choices. The brand have grown in popularity particularly throughout the last year, establishing a solid brand producing quality products. 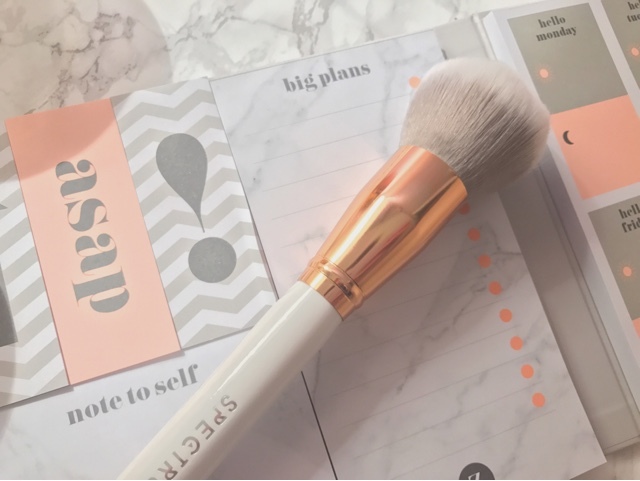 My first experience with Spectrum was a brush I received within a Birchbox and I was impressed immediately with the no fall out, cruelty free, well designed brush. 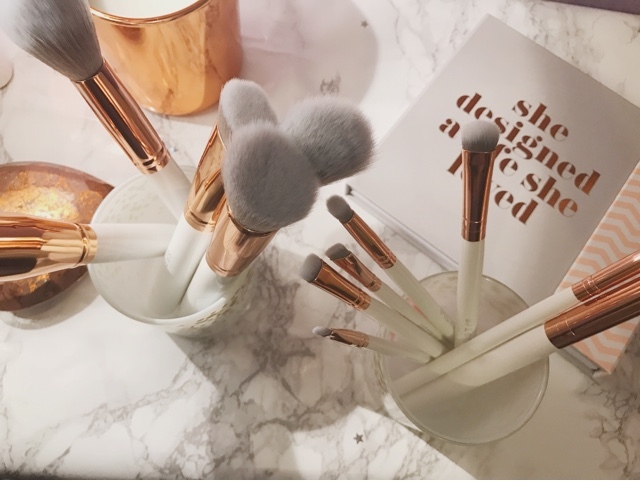 Each of these brushes applies product to my skin beautifully and doesn't soak up half of the product or not pick up enough, and creates a flawless application. 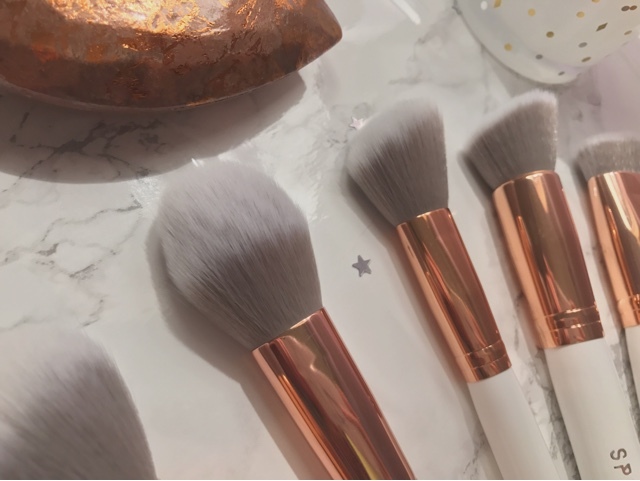 The B05 luxe blender is an absolute dream for blending out a bold, cut crease on the lids and the AA0 luxe powder feels soft and comfortable against the skin, not dragging or scratching, which some brushes have the tendency of doing. Overall, I think these would make a wonderful gift and would leave any girl grinning if she found them in her stocking on Christmas morning.